Often people arrange transportation for special events, such as group rides, weddings, parties, or historic tours. The quickest way to check on pricing and availability is to call 303-733-4222 (please leave your phone # in the message). 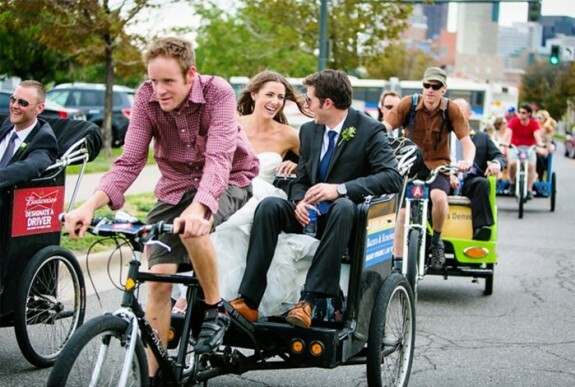 What’s more romantic than the bride and groom making their get-away with quiet and smooth pedicab ride? We offer wedding packages for your bridesmaids, groomsmen and wedding guests as well. 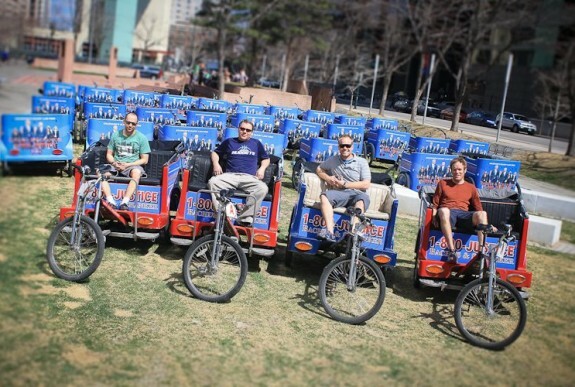 Touring Downtown Denver with Milehigh Pedicabs gives you the perfect combination of pace and convenience. Bar crawls and scavenger hunts, call us and move the entire group!